Denciti Development Corp., says the West Kelowna Industrial Park will eventually be the largest industrial park in Kelowna and the first project of this type in the area in seven years. It comes as the Central Okanagan region faces critically low industrial vacancy rates. 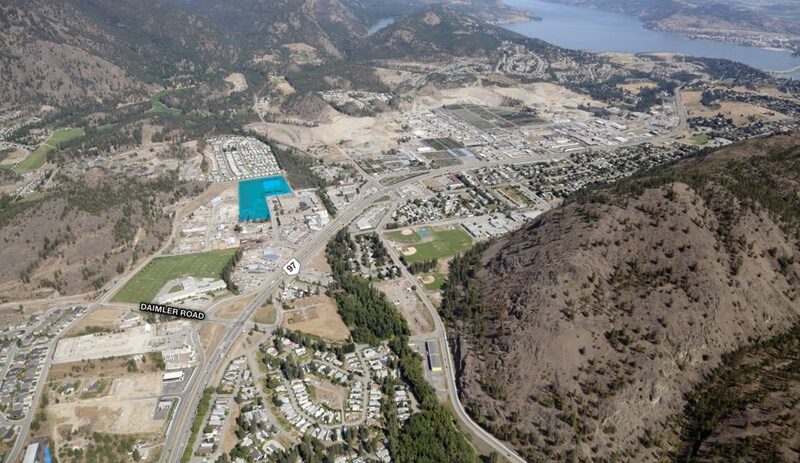 Denciti, which launched last year, is building the new multi-phase strata industrial business park at 2648 Kyle Road. The 10.3-acre site is one of the last large plots of developable freehold industrial land in the region. It could eventually comprise 200,000 square feet of workspace across up to 90 units. Kelowna’s regional industrial vacancy rate has fallen to 1.65 per cent and local businesses are finding almost no opportunity to own space in the area, the developers say. Denciti purchased the West Kelowna lot just six months ago, said veteran property developer Garry Fawley, the company’s CEO and co-founder. Construction is set to begin this spring on the first phase of the park, which will include two buildings with bay units of 1,500-2,500 square feet for a total of about 60,000 square feet, he told RENX in an interview. “We have a six-building scheme, but the market will largely dictate its final configuration,” he said. Depending on the configurations, it will contain small and medium-sized units up to 10,000 square feet. “We found that the market is ready for (this project),” Fawley said. The industrial vacancy rate in Kelowna and the surrounding area has dropped by more than three per cent since the second quarter of 2016, according to Colliers International’s regional industrial market report for 2018. New supply has not been keeping pace and the last new comparable business park in the area opened about seven years ago. The Kelowna market is as tight as the Lower Mainland industrial situation, said Steve Laursen, a commercial broker with Royal LePage Kelowna, which is marketing the project for sale. Companies in Kelowna are also looking for larger footprints than they were only six years ago, he said. “It used to be the requirements in the 2,000 to 4,000 square feet and now we’re seeing it in that 4,000 to 10,000 square feet,” Laursen said. Most of the developable land in the area is owned by the local First Nation. “There is very little freehold land available in West Kelowna and there hasn’t been much development going on there in the last few years,” Laursen said. The completion of the first two buildings is expected in early 2020. Fawley co-launched Denciti in spring of 2018. He said he has experience developing various types of properties under other banners in Kelowna for more than 20 years. His new team at Denciti will focus on the Vancouver, Victoria and Kelowna markets, he said. Copyright © Steve Laursen Personal Real Estate Corporation 2019. All rights reserved. Website by Star Graphic Design.